Bright, colorful, and eye-catching acrylic adds color and life to Matthew Placzek’s sculptures. Hand-etched acrylic is heated and shaped to enhance each unique work of art. 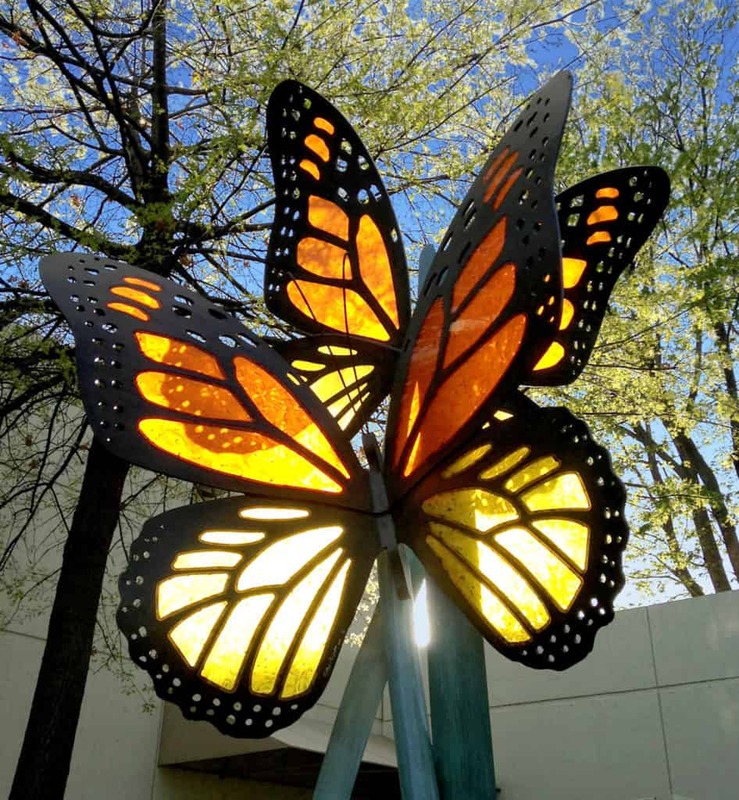 The above butterfly sculpture, featuring shimmering acrylic wings, comes to life as it glistens in the sunlight.